Experience the beauty of the Arctic and get the skills and experience to tackle the challenges on your own! During the first days we will learn theory and practice of Arctic ski expeditions and familiarize ourselves with the equipment and skiing with a pulka. The teaching will be partially indoors and partially outdoors on the proximity of the base camp hut. Topics to be covered include for example: the Arctic regions and the cold, travel and daily life on Arctic expedition, navigation, effective use of equipment, risks and safety on Arctic expeditions and emergency shelters in snow. On the third day we will pack our pulkas and head out for an overnight training trip to the nearby wilderness with the hills of Hetta-Pallas national park as our backdrop. We will spend the night in tents learning camp routines. In the morning of the fourth day we break camp and return to the base camp. During the evening we will prepare ourselves and equipment for the expedition. The main part of the course is a seven-day ski expedition in the Käsivarsi wilderness area in the North-West corner of Finland. The 2200 km2 wilderness area is part of the legendary Finnmarkvidda plateau covering most of the Northern Norway and being a well-know destination for many training trips and expeditions. The landscape is dominated by fjells, high hills reaching over 1000 meters with frozen lakes and rivers in the valleys. Despite being below 1000 meters above the sea level we will spend most of the time above the tree line with only snow, ice and rocks around us thanks to the high latitude. In March the snow is usually plentiful and temperatures fluctuate between -6°C and -15°C but sometimes temperatures may drop even below -30°C. High winds are possible but not especially likely. In a nutshell: the condition may be challenging but they will also be rewarding! Weather permitting we have good chance to see the Northern lights on every night of the trip, especially when deep in the wilderness far away from light pollution. 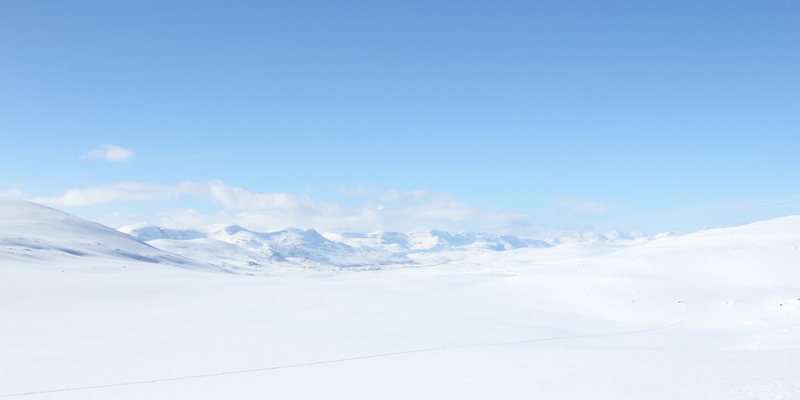 The expedition starts with a drive to the small remote village of Kilpisjärvi. After lunch we will leave behind the civilization and start with a half a skiing day and spent the following six days exploring the area skiing 7-8 hours each day. Nights will be spent in expedition tents shared between two or three people with stoves for melting water and preparing food. Should the conditions permit we will spend one afternoon building snow caves and spent the night in our hand-carved shelters. 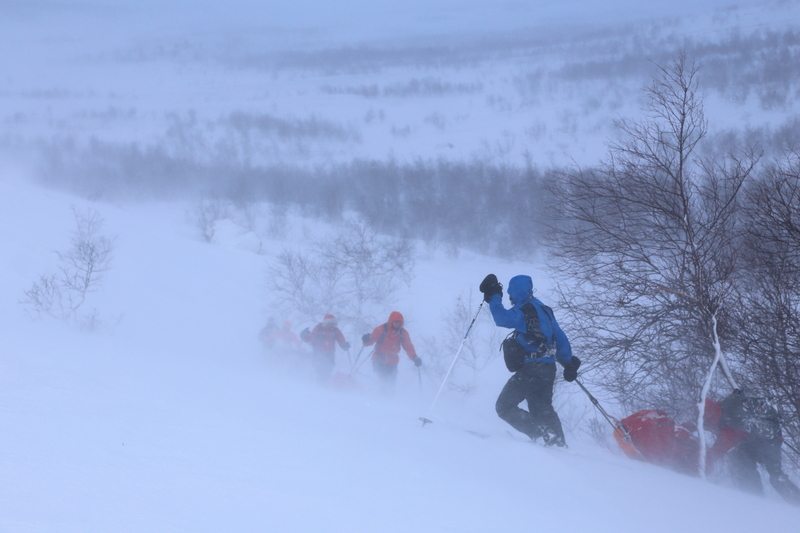 On the seventh day of the expedition we will have an alpine start and ski thru the early morning hours to Kilpisjärvi and start our journey back to the base camp hut. Once at the base camp we will take care or equipment and ourselves and then enjoy a special farewell dinner in one of the local restaurants. On the last day we will have a final breakfast together and say goodbyes at the airport before returning back home with plenty of new knowledge, skills and good memories. special equipment including pulkas, tents, stoves and fuel, group safety equipment, satellite communication equipment, etc. The price includes pick up and return transportation from Kittilä airport. The companies Norwegian (http://www.norwegian.com/) and Finnair (finnair.com/) have reasonably priced flights from the Helsinki-Vantaa international airport to Kittilä airport. Prices start from 100-150 euros for two-way tickets. If you’re traveling from faraway it might be good idea to fly to Helsinki earlier, especially as the course starts on Monday and ends on Friday leaving the weekends for travel if needed. Enrollment is open until 31.1.2015. 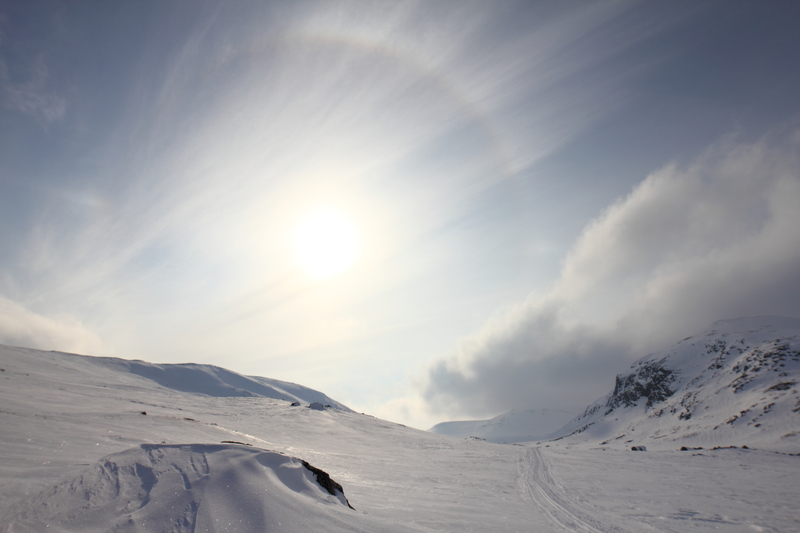 This course is part of the Ankarat avotunturit ski expedition program!